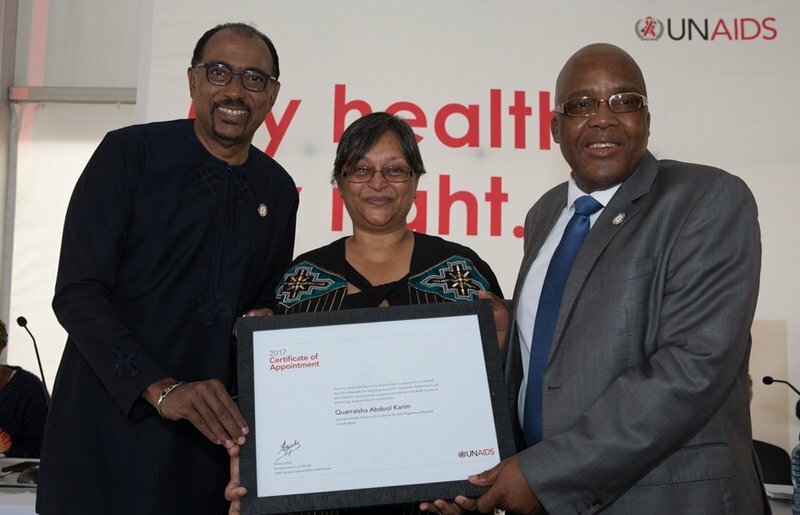 A Durban scientist and epidemiologist has been appointed the new specialist ambassador for UNAIDS. Professor Quarraisha Karim will focus on adolescents and HIV in her new position. Professor Karim is the Associate Scientific Director of the Centre for the AIDS Programme of Research in South Africa. She gained worldwide recognition through her extensive research at the University of KwaZulu-Natal and Columbia University. Karim says she hopes to achieve the organisation's shared vision of zero new infections, zero discrimination and zero AIDS-related deaths, by the year 2030. ALSO READ: #DearDiary: The HIV results are in! She says South Africa has made significant strides in further understanding the virus. "We're one of the few countries where if you test positive - you can be initiated on antiretroviral treatment right away. So we've made huge investments as a government, as a country on our responses to the epidemic," she says. Karim says creating awareness and encouraging people to find out their status could further contribute towards finding to a solution to the epidemic. "Only one in five people know their HIV status. The issues and barriers include stigma, fear of stigma - whether it's real or perceived - and an important first step is knowledge of HIV status," she says.